The Los Angeles Times reports that UC hired top-tier law firms to defend chemistry professor Patrick Harran – and the university itself – against felony charges in the death of UCLA lab worker Sheharbano “Sheri” Sangji, at a cost of nearly $4.5 million. Sangji died in 2009, 18 days after being burned in a fire in Harran’s lab, and the Los Angeles County DA subsequently charged Harran with three felony counts of willfully violating state occupational health and safety standards. Harran struck a deal with prosecutors, admitted no wrongdoing, but agreed to teach a summer course, perform community service, and pay $10,000 to a burn center. UCLA management said in a statement that the expense was justified. Sangji’s sister, Naveen, is quoted in the Times as saying the $4.5 million could have bought 86,000 protective lab coats. “Had UCLA spent even a tiny fraction of this money and effort on laboratory and chemical safety training and fire resistant gear…Sheri might still be with us,” she said. Speaking of health and safety, UPTE offers members basic to advanced training to learn such skills. It’s called the UPTE Academy, and you can peruse the course listings here. Upcoming seminars include bargaining training on November 15-16 in Berkeley and December 14 in Chico, and media training in December (time TBD) in San Francisco and Berkeley. UPTE-CWA urges you to get out there and vote on Tuesday, November 4 for candidates who support labor rights and education for all Californians. If you have a mail ballot, don’t forget to mark it and mail it. 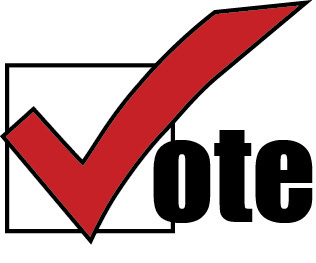 UPTE’s election recommendations can be found here. We also urge you to review the California Federation of Labor’s endorsements.